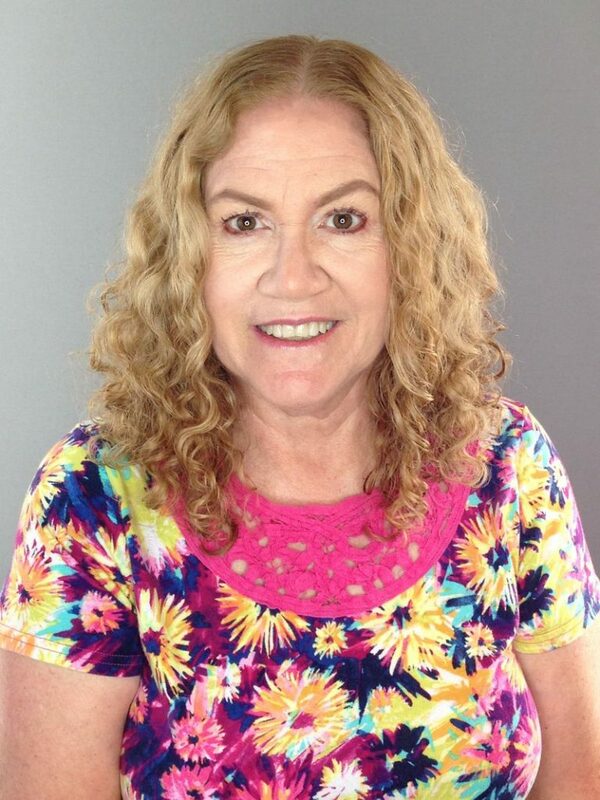 Paula is born and raised on Florida’s Space Coast. She has lived near the beach most of her life and love the warm weather (most of the time.) She worked for the Florida Department of Health for over 30 years before retiring last year. Now Paula works part-time for her local yarn shop, Knit and Stitch boutique, doing their social media and teaching classes. Her current craze is to designing more and taking classes to improve her skills. 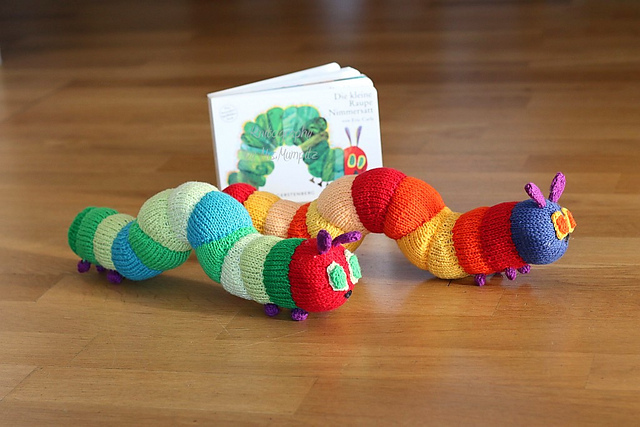 She loves to knit for charity and most of her non-design knitting time is spent in that pursuit. 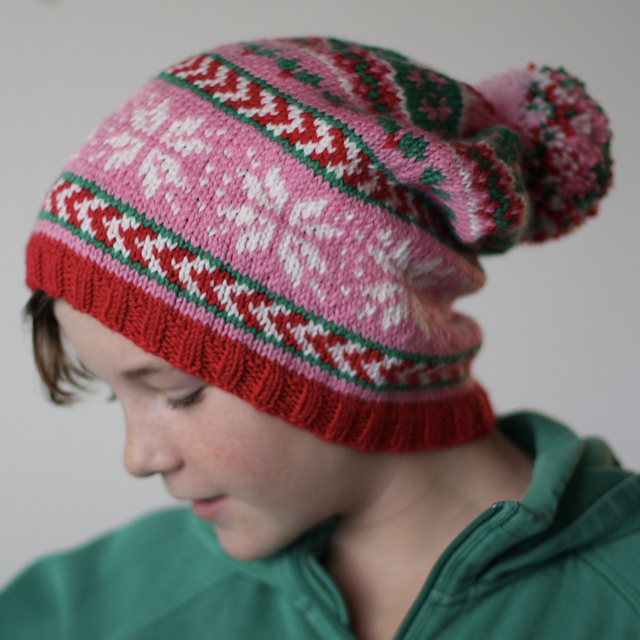 Her favourite group to knit for is for The Children of Pineridge group on Ravelry. 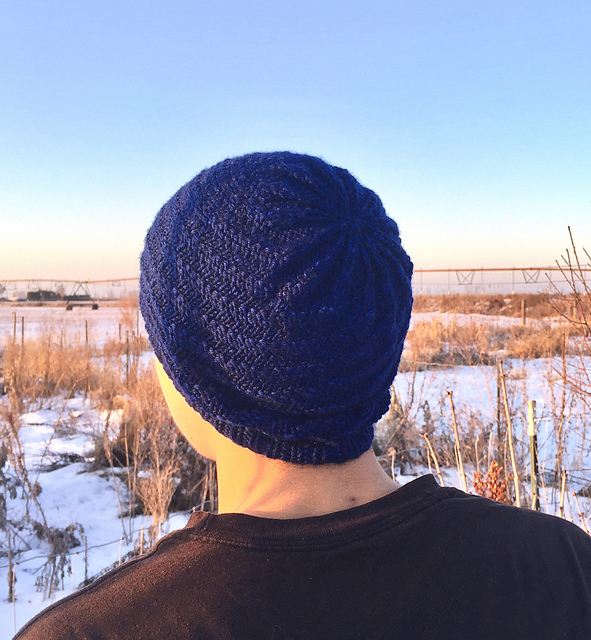 Their motto is “do what makes your heart sing”, which allows for lots of variety in knitting. 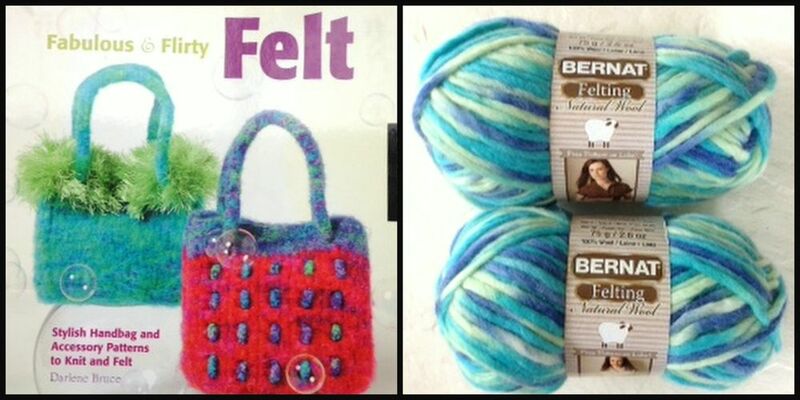 Paula will send this set of the book Fabulous & Flirty Felt and Bernat felting yarn to a reader of this blog (shipping to US only). Comment on this post with your favourite of Paula’s patterns! 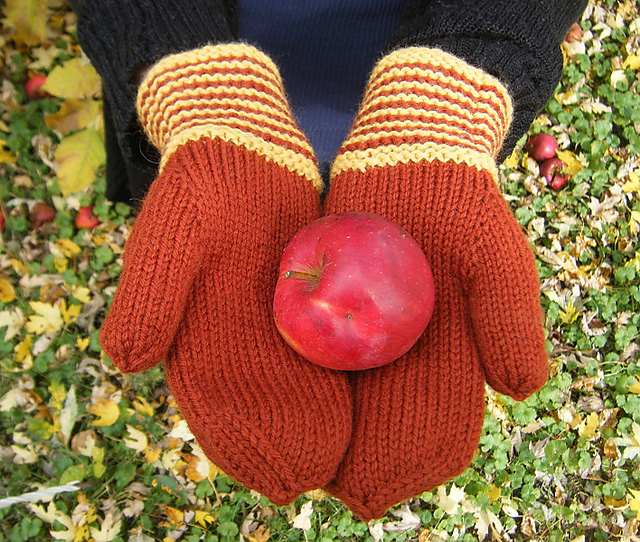 Early on I designed things that were fun for me to knit and experiment with. The science of knit/felting has fascinated me since the first time I shrunk my knitting on purpose. Trying to figure out exactly how something would look once it felted became part of the fun of designing new items. 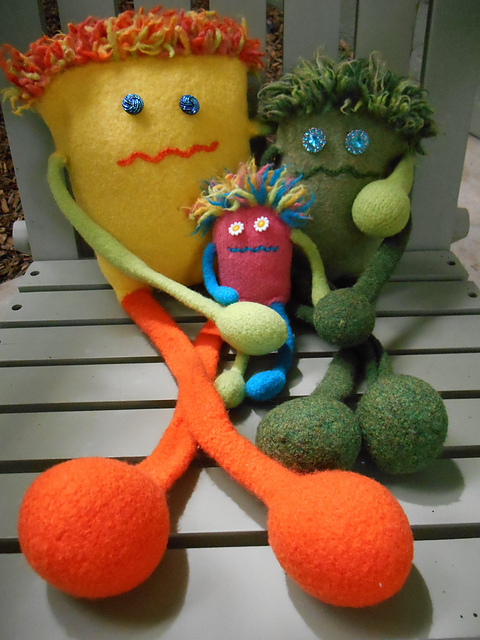 I still design felted items, but am working on my other design skills as well. 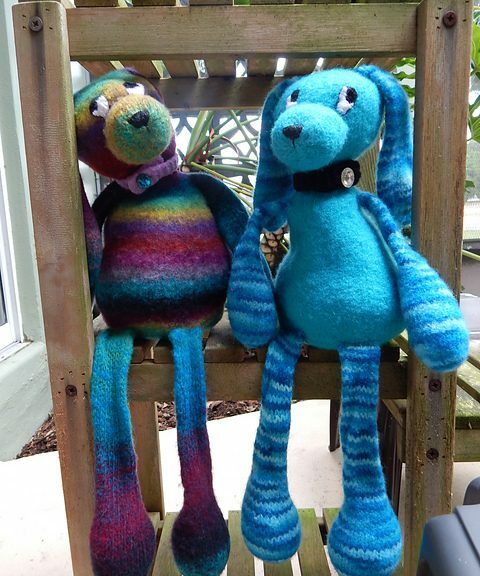 I recently published my first two non-felted designs and I am enjoying spreading my wings so to say. My first ever design was a small felted bag. I had been making them to do a craft show and had been to one, but then the economy tanked. I didn’t actually realize that I was designing! I had some extras left after the first and only craft show I ever did and a local yarn shop had started carrying the yarn that I had used. I asked her if she wanted to borrow a couple of them to show how the yarn felted. She accepted my offer, but soon started saying that her customers wanted to know what pattern I had used for the PHAT Little Felted Bag. I told her that there wasn’t a pattern and that is when she started her campaign to get me to write it down. Well, I’m working on a couple of things. One is secret because it’s for a magazine, so I can’t share that one right now. It’s up for publishing potentially the end of January. The other is at the sample knitting stage, but has had to take a back seat due to the magazine submission, but here’s as far as I have managed to get. There is no pattern yet, but it will be an asymmetrical triangular shawl with texture stitches and lace details. I love the colour palette and inspiration based on sunrise. I love my interchangeable needle sets! I started with Denise Interchangeables about 10-12 years ago, but now I have ChiaoGoo Twist and Spin sets that I am currently filling out with more tips and cables. I have an AkerWorks gauge tool that I am newly fond of. Here is a picture of it in use. I have a variety of sources for inspiration. Nature is one of my favourite sources of inspiration. Sometimes, however, it comes from the oddest places. I have a series of ruffled felted bags, whose source of inspiration was the ruffles on the costumes of Caribbean and South American dancers, hence the names of the bags Rumba, Samba and Merengue. I love the sculptural qualities of the ruffles. Art is another big source of inspiration for me. I love impressionist works for their colors, especially watercolors, as well as modern works and even fashion. Texture or the appearance of texture is another one that catches my eye frequently. Which designer/s participating in the GAL have caught your eye and why? This year there are several designers who have caught my eye. 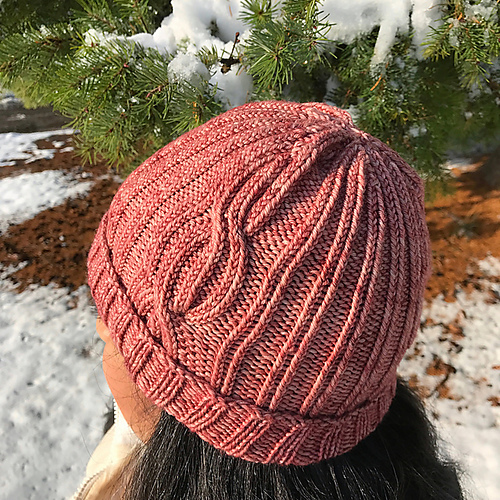 I am looking for new patterns to put into my charity knitting rotation, so I am looking for interesting patterns that will knit up quickly, yet keep me interested. Denise’s Needleworks (CJ’s Garter Cuff Mittens & Hat) and a few others. or if I feel really adventurous her Christmas Stocking pattern (which has 512 variations because of all the motifs to choose from)! Probably one of the potential charity patterns, to make in between bouts with the magazine submission to break it up a bit, which is why the quick knit aspect of some of those patterns appeals to me. The GAL is my time to knit for charity which I do a lot of between our Thanksgiving holiday and Valentine’s Day. It’s my way of showing thanks for what I have and can do to help others at this special time of year and I continue until Valentine’s Day because it’s supposed to be about love (which is the basis of all charity). Maybe it’s a little corny, but it’s the way I feel. 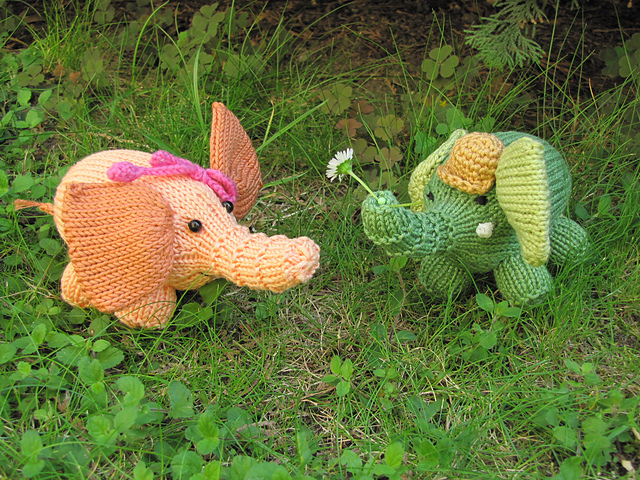 but Judy the Elephant and Chubby Bobby are pretty cute as well. Wow, that’s a lot of inspiration. Thank you, Paula! I love Paula’s designs! 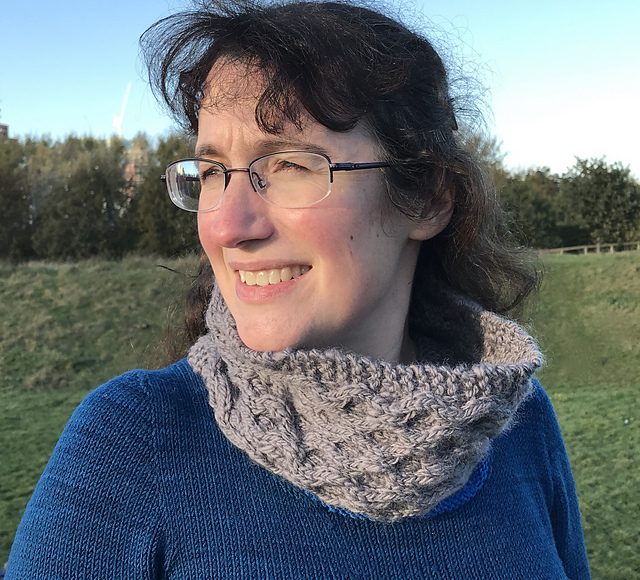 I was lucky enough to test knit her Infinite Surf Wrap, and it’s gorgeous! (And going to a very dear friend for Christmas!) I’ve always wanted to try felting, and it’s on my list of new techniques to learn in 2018!